Patron saints Edward Gorey, Robert Smith, and Jack Skellington. But maybe black's not FULLY YOUR COLOR. Maybe you're slightly allergic to white face paint. Or you find the whole aesthetic just a little too ~EXTREME~. Maybe PASTEL GOTH Is more your scene. Otherwise known as nu goth or like, goth lite. Okay, nobody calls it goth lite, but that's kind of what it is — a girly take on the goth aesthetic. Your makeup should be dark. But there's no reason the case can't be covered in unicorns. Because black lipstick is cool, but black lipstick with sparkly unicorns on the outside is way cooler. Throw on a pair of these ombré tights under a black babydoll dress. And focus on the marriage of creepy and cute. Like the juxtaposition of this pretty pastel hair with this gruesome skeleton hair clip. Everything soft and delicate should have a sharp, sort of dangerous edge. That should even extend to your nail art. You can go for goth-propriate creepers, but choose ones with a bit of sheen. Mix up your dark, moody blacks with religious iconography. And don't be afraid to DIY. 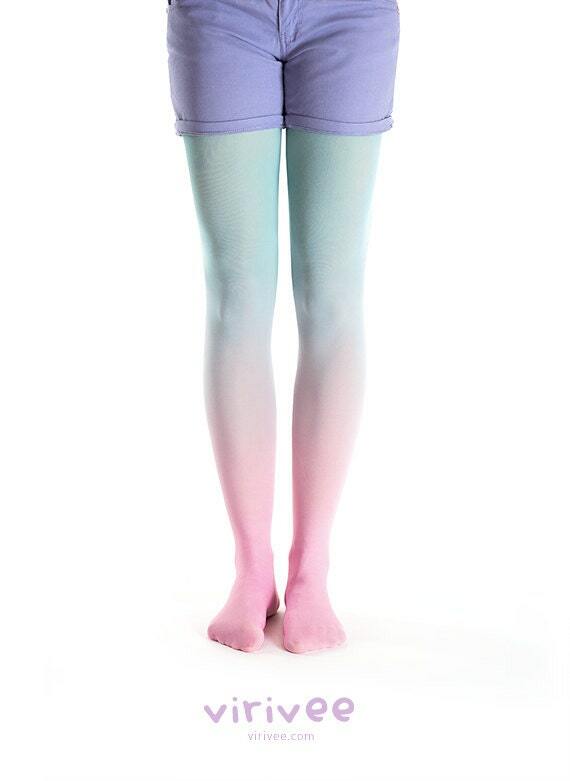 This doll's shorts are pure tie-dye/penned up perfection. Feel free to indulge in jewelry, as long as it hovers on the cute-creepy threshold. Your wound care should match your sunny yet dark disposition. And even your ice cream should embrace the dark side.